The weather on New Year's Day was dreadful here in Barnsley. It chucked it down all day, no good for anything but staying in and eating up Christmas leftovers! Happily on the extra Bank Holiday Monday the sun came out and of course I asked the OH if we could visit a cemetery. One of my tasks as a volunteer for the Imperial War Museum's Lives of the First World War website is to add 'Life Stories' for men who were missed off the initial upload of Medal Index Cards back in 2014. This is usually because they didn't serve abroad and therefore were not entitled to the British War Medal and Victory Medal. One source of information for these men is the Commonwealth War Grave Commission's website (CWGC), listing all casualties of WW1 and WW2 buried and commemorated in the UK (and overseas, but that is not relevant to this discussion). For the past few months I have been working my way through a Google doc spreadsheet of all the CWGC burials in Yorkshire. I checked all the ones in Barnsley as part of the Barnsley War Memorials Project, and now I have moved onto nearby Yorkshire towns and villages that I am familiar with, Sheffield, Doncaster, Rotherham and Wakefield. I recently completed the checks on Conisborough cemetery where there are seven WW1 CWGC burials (and ten WW2 CWGC burials) and found just one man to add, a Private Thomas Lifsey who, despite enlisting in the York and Lancaster Regiment was transferred to the Labour Corps and did not serve overseas. This may have been due to his age, he was 39 years old, or his health. 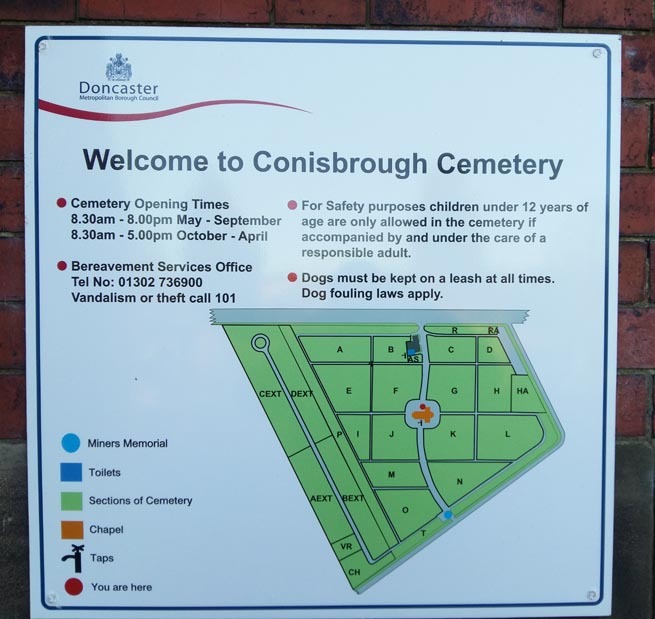 Co-incidentally my own great grand parents are buried in Conisbrough Cemetery. Many of the families to which I am related (Hall, Fiddler, Russell) had come down to Yorkshire from Durham in the late 1920s and early 1930s looking for work. My own grandfather was away in the army serving in India at the time and remained based in Langley Park, Durham. Although there are a Fiddler and two Halls commemorated on the WW1 war memorial in Conisbrough (which did give me a tingle when I first spotted them), they are not related. My family were still in Durham during the First World War. Because I have been at this family history lark for a very long time I have my own fiche reader (a Christmas present from the OH many years ago) and thanks to a relative (my second cousin's husband JB) I also have a copy of the burial registers for Conisbrough Cemetery on fiche from 1900 to 1951 (the postmark on the envelope they arrived in is November 1999!). 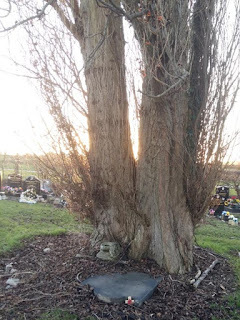 I must have looked up John Edward and Mary Hall's burials back then as the dates are recorded in my family tree, however the detail of the grave plot references was not. I can only imagine that this was because 1999 was a long time before I was using Family Historian on my computer and I hadn't been able to include grave plot references in my early basic family history computer program. So I had to get the fiche reader plugged in and do some old fashioned looking up before the OH and I set out for Conisbrough. John Edward Hall died in 1929 and Mary in 1950, both are buried in plot F 290. William Davies, the husband of their eldest surviving daughter Elizabeth Jane, died in 1944, and Elizabeth herself in 1959 (I couldn't look her up as the fiche I have only go up to 1951), and he is buried in plot J 118. There could be other family members buried in Conisbrough, but I have done very little work on this part of my family tree for many, many years. Being an efficient sort of person I printed off a list of all the CWGC burials in the cemetery and added the information for my relatives at the bottom. I added a photo of the cemetery plan found on the 'Find a Grave' site and we headed out. The first thing that we discovered on arrival was that the plan I had printed was out of date! There was a nice new plaque on the front of the cemetery chapel, see right. Happily it did not affect our searches, but it is useful to know that the cemetery has been extended, that strip on the left A-D Ext was not on the photo I had. We began to look for F 290, my great grandparents, and found that many of the gravestones did not have a number on them. The stone masons had been very efficient in adding their own name and details (advertising! ), but had not included a plot number reference like I've seen in many other cemeteries. Happily some of the more modern stones DID have numbers and, I expect partly due to the current popularity of family history, there were modern stones dotted around amongst the older plots. The burial plots numbering was odd too, instead of running from one grave to the one along side, the way you would walk along a row, in Conisbrough they run from one grave to the one at its foot and so on. Which did confuse us for a while. A helpful dog walker referred us to the side of the house at the cemetery gates which we had driven right past where there was a huge plan of the burial plots on the wall facing the road. 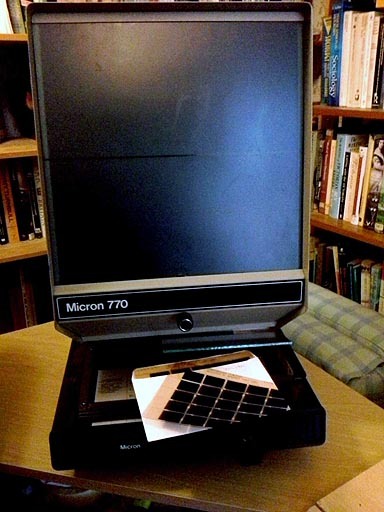 We couldn't get a photo of that as it was in a glass case which had a lot of condensation on the inside and in the shade too. Maybe we can visit again in the summer? With the help of the plan we were able to find the plots for my great grandparents and my great uncle (and his wife I expect). Sadly they were both just grass, but I said 'hello' all the same. It's odd that I've been in Yorkshire since 1979 and have only just been to visit members of my own family ... but I didn't know they were there until I had a family and a job to keep me occupied! The 17 CWGC burials were easier to find in the main as the stones have a distinctive colour and shape which you can usually spot at some distance across a cemetery. The winter sun caused the OH a few problems taking the photos until we worked out where I could stand to cast a useful shadow. A dark photo is easier to brighten up when you get home than a one with a glare right across it. Someone had placed wooden crosses with regimental badges at most of the stones we found, some had poppies and cards from relatives which was very touching. I guess that is the advantage of looking around a cemetery just a few weeks after Remembrance Sunday. The only problem we had was with one WW1 chap whose grave has apparently been overtaken by a huge tree (see left) - the little wooden cross at the head of the fallen stone suggested our counting of the plots was correct. This should be the resting place of Gunner Leonard Hinchliffe. According to the additional documents on the CWGC site Gunner Hinchliffe never had a CWGC gravestone, instead his plot was marked with a P.M. (private memorial). I wonder if there are any schemes whereby his grave, as the recognised burial place of a soldier, could be rescued? It was a lovely afternoon out, cold and frosty and a bit slippery underfoot as the sun got lower, but we mainly achieved what we had set out to do. We found my relatives and photographed the CWGC stones. We rounded off the visit by calling to see the Conisbrough War Memorial, but it was getting darker and we did not take any photos. You can find a list of the men on this memorial and the one at nearby Denaby Main online at the site for the Conisbrough and Denaby Main Local History group. There are some good pictures of the Conisbrough war memorial on War Memorials Online. Detailed information about the WW2 men remembered can be found on the Doncaster War Memorials site (which has sister sites covering Barnsley, Sheffield and Rotherham in WW2). Today I have been adding the photos to Lives of the First World War (and tweeting about the men). I have grouped the men into a new Conisbrough and Denaby Main community to make it easy to find them again.